Perfume and fragrances always make nice gifts. 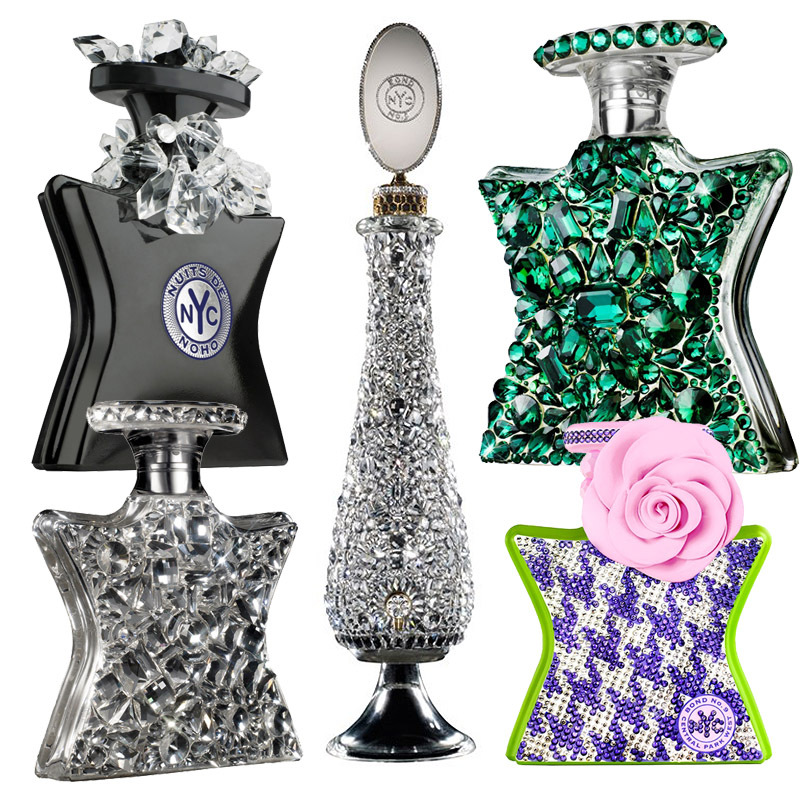 These limited edition versions of some of the best-selling scents from Bond No. 9 make great gifts. 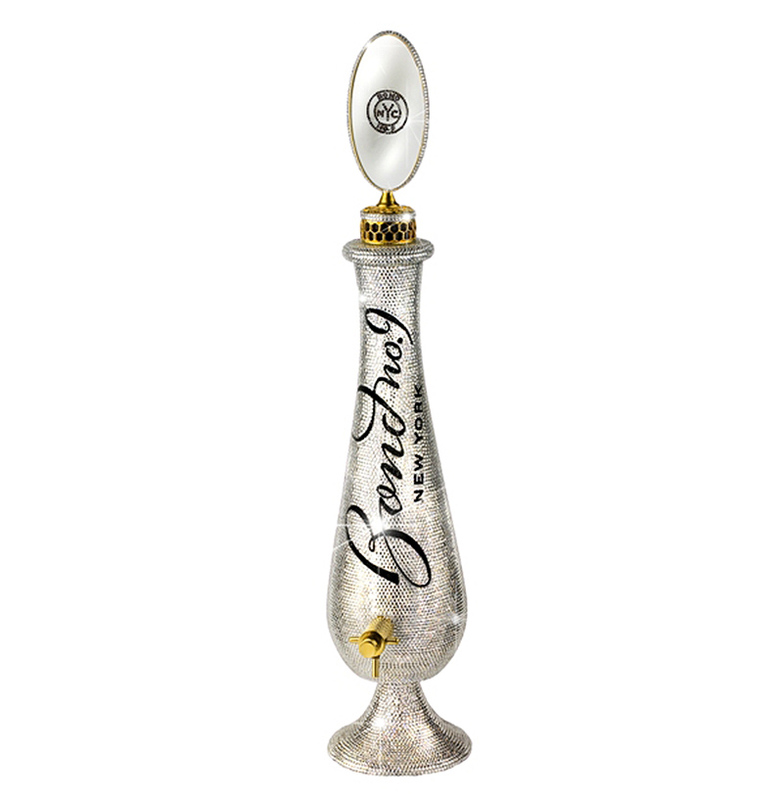 With a price range spanning $350 to $7500, the following limited edition Bond No 9 bottled scents are embellished with Swarovski crystals and elements that will make anyone's eyes sparkle. This year’s official, unabashed extravaganza gift is our now-perennial 42-ounce spigoted amphora vitrine, filled with the Scent of Peace, its gracefully curvaceous exterior glistening everywhere with a new Swarovski crystal design: a profusion of stones in varying sizes and shapes, carefully pieced together onto a surface as intricate and tactile as an incandescent moon-glow tapestry. 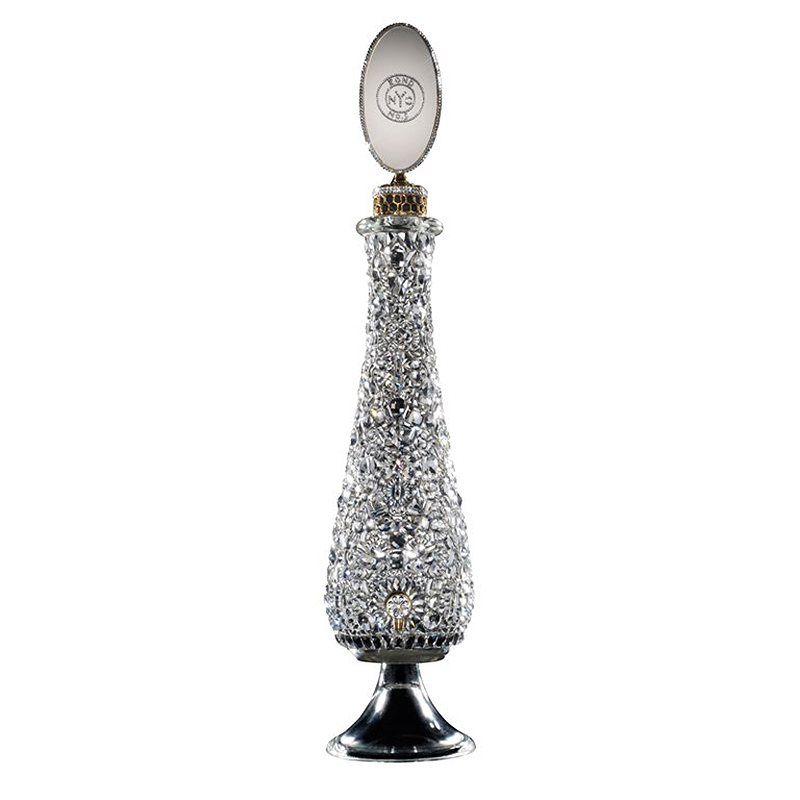 True, perfume containers have always had an element of fantasy. But this one is ultimo in every way. The Scent of Peace is likewise the eau de parfum chosen for the classic Bond No. 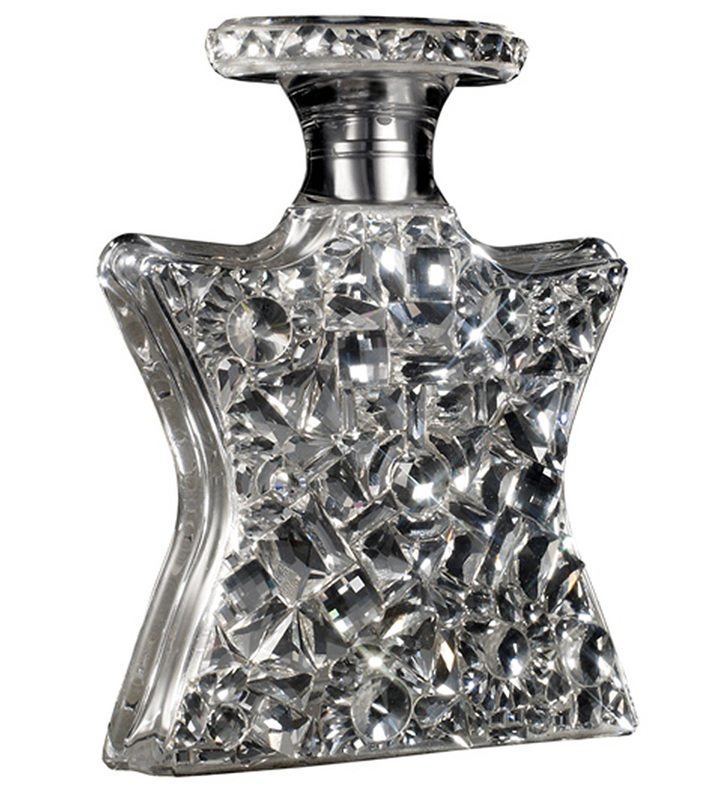 9 superstar bottle that’s been decked out all over with those Swarovski fanci-crystals—the moonlit exterior emphasizing the preciousness of the contents. Even the oval cap and the keepsake silver-toned presentation box are studded with stones. For gardenia devotees with a sense of fashion elegance, this is the ultimate gift of gifts: A 100 ml. 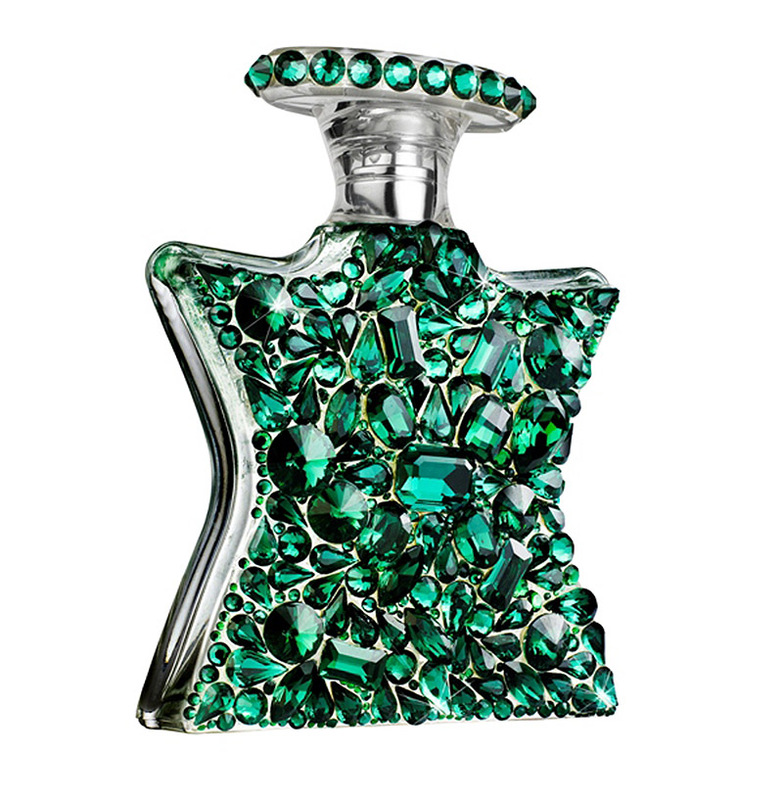 limited-edition bottle of Central Park West whose houndstooth surface has been rendered with 2,500 sparkling Swarovski gems, its edges bordered in vivid lime green, its cap encircled with tiny stones. 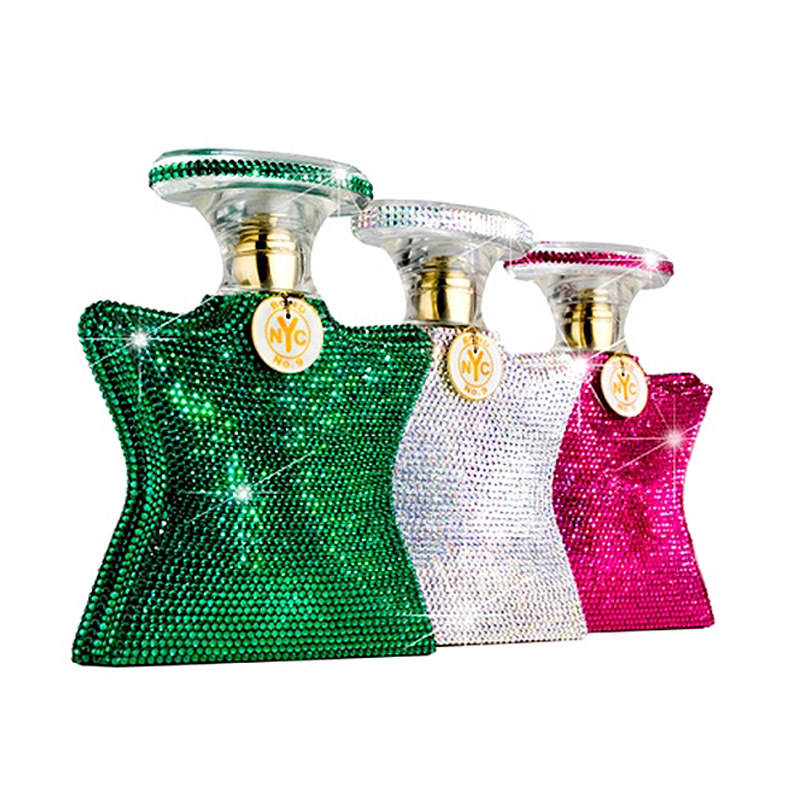 They’ve gone overboard and embellished three more of their most coveted scents with the tiniest and most reflective of all the Swarovski stones—five thousand of them per 50ml bottle. 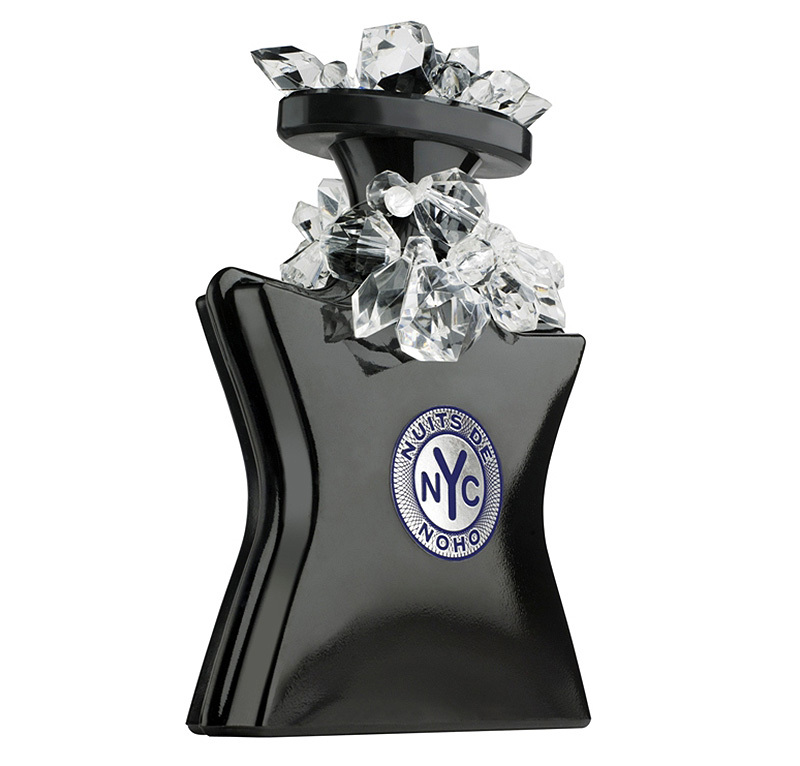 The pearlized milk glass Eau de New York bottle (citruses-cyclamen-jasmine-vetiver) is studded with diamond-colored aurora borealis stones. Chelsea Flowers (peonies-magnolia-rose) is decked with emerald-colored stones. 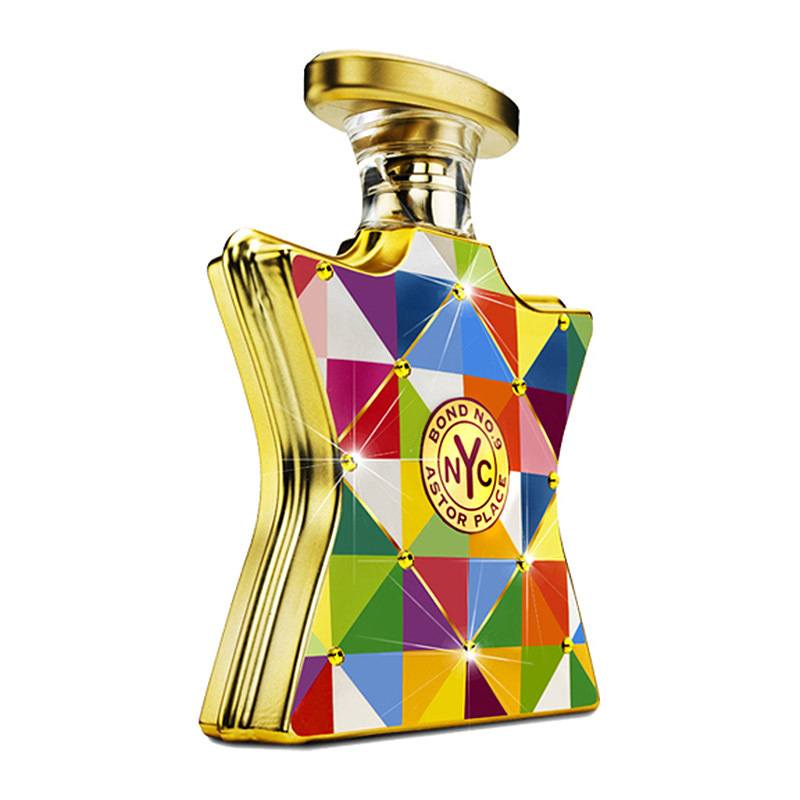 Chinatown (peach-gardenia-tuberose-sandalwood) features ruby-colored stones. Shop for these and more here.